Aerial shot of foreman, Josh Grandstaff, trimming a Pecan tree. Aerial photo of Superior Arborists planting a 25' tall Cedar Elm tree in Fredericksburg, Tx. The tree (dormant) weighed over 6,000 lbs and was part of a tree planting project for a horse training operation. When big trees are involved, people call us. At 76 lbs per cubic foot and 52" in diameter, this Live Oak tree in Fredericksburg, Tx was a fun project for the crew. This Mexican White Oak (Monterrey Oak) is a fine example of the average tree selected and planted by our arborists. We generally plant 13'-20' tall trees to add instant attraction where it may have been lost. Superior Services has Certified Arborists on staff for all of your Tree Care needs. A beautiful Bur Oak such as this one will provide generations of shade, comfort, and curb appeal. Certainly a secure investment with enduring value. Foreman, Josh Grandstaff, has no fear. 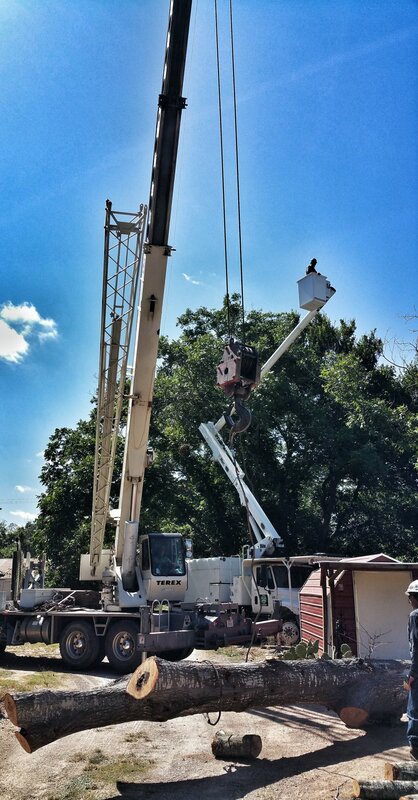 Land/lot clearing in Fredericksburg, Tx. 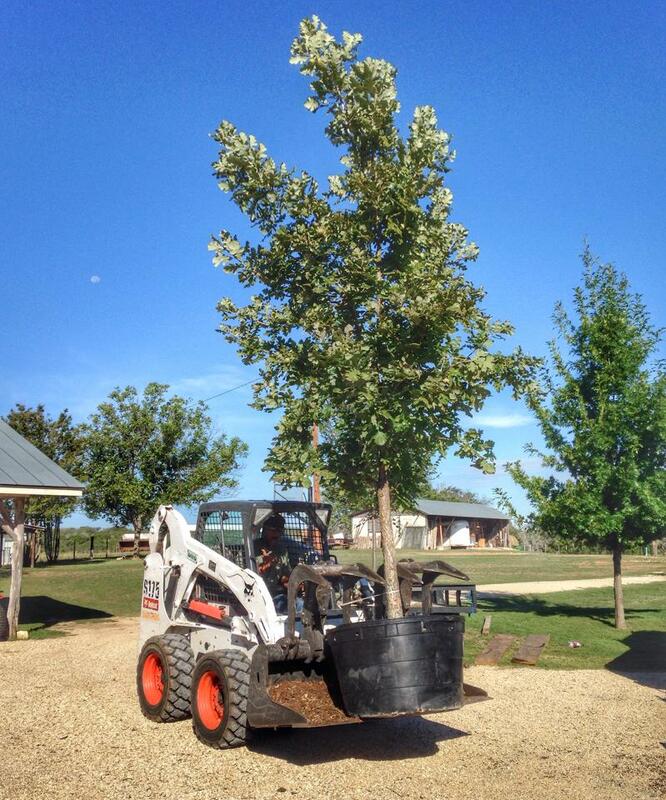 Toting a 20' tall Burr Oak on a tree planting project near Kerrville, Tx. Tree Removal next to a home...Not a Problem! Six beautiful, single-stem Crape myrtles planted at a townhome complex in Boerne, Tx. Another Superior stump grinding and tree planting project. Big projects with big equipment. This customer was overjoyed upon completion of her Little Gem Magnolia tree hedge.